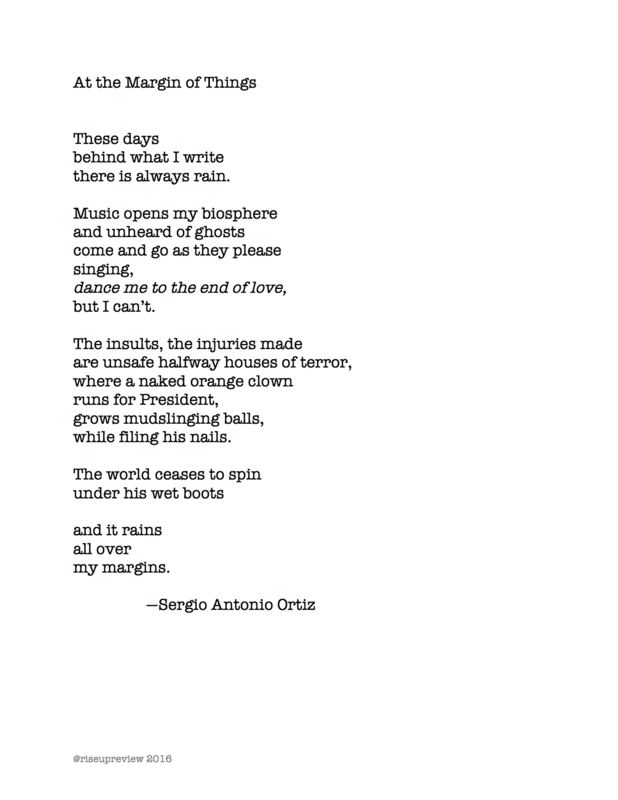 Sergio A. Ortiz is a gay Puerto Rican poet and the founding editor of Undertow Tanka Review. He is a two-time Pushcart nominee, a four-time Best of the Web nominee, and a 2016 Best of the Net nominee. His poems have been published in hundreds Journals and Anthologies. He is currently working on his first full-length collection of poems, Elephant Graveyard.